The perfect alternative to a stand or cabinet. 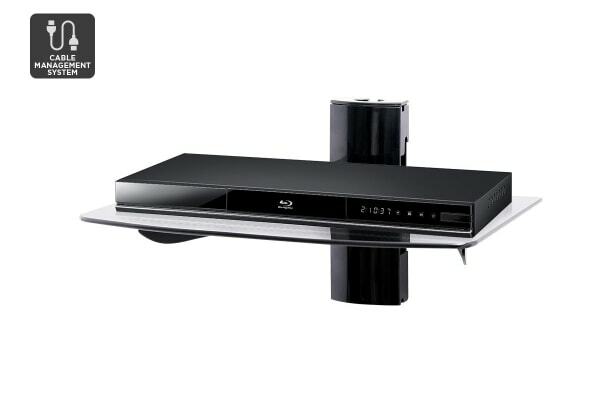 Stylish wall mount for your DVD or Blu-ray players and entertainment consoles. Excellent cable management system – keep cords neat and tidy! The Kogan Height Adjustable Glass Shelf Wall Bracket is the perfect accessory for your mounted TV. 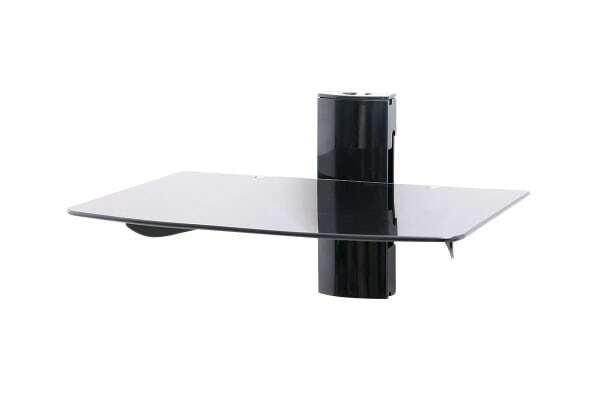 Suitable for your DVD or Blu-ray player, this height adjustable shelf saves space in any room, mounting your devices near your mounted TV. The mount includes a cable management system which neatly conceals cables. It is also great for games consoles and Foxtel boxes. Keep messy cables tidy and organised with this innovative cable management system.